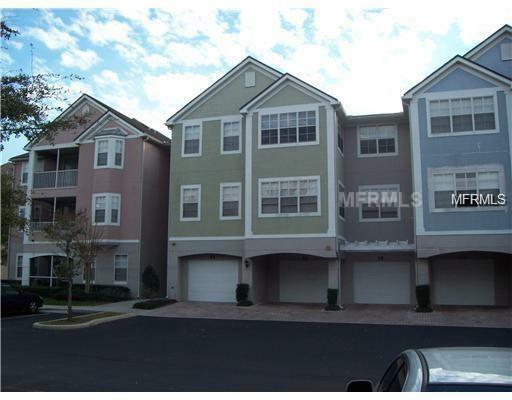 Beautiful UPGRADED 3rd floor 2 Bedroom/2 bath WATERFRONT condo with view that overlooks TURKEY LAKE. Features include: 2 Master bedrooms, both with spacious walk-in closets and attached bathrooms with Garden Tubs. Laminate flooring throughout living areas and carpet in bedrooms. This spacious living room/dining room combo has a kitchen Breakfast Bar overlooking the living areas. The kitchen has solid wood cabinets which include a full sized closet pantry. Enjoy the incredible views of the lake, sunsets, the fireworks at Universal and Disney and Bill Fredrick's park from the Lanai and both bedrooms. RESORT STYLE LIVING in one of Orlando's most Picturesque areas. 15 Min from downtown and Disney. 10 Min from Mall at Millennia & Turnpike, few mins to Universal. This Gated Community w/24HR Guard post, has a Village Square with convenience store and restaurant Bar & Grill on premises.2 Swimming pools w/hot tub Jacuzzi, expansive modern Fitness facility, indoor climate controlled Basketball/Volleyball court, Residence Club w/billiard tables, and walking trails along Turkey Lake, Boat Ramp, Fishing Pier, and BBQ/Picnic areas. Available 01/02/2019. Call Today!